She was a resident at Rex Club in Paris, runs the label Correspondant and after nearly two decades in the game, she is still one of the busiest djs of the scene. Meet Jennifer Cardini. Following her formative years in Paris, where Cardini regularly played at Rex as well as at an avant-garde club Le Pulp, she later relocated to Cologne, where she got affiliated with the seminal label Kompakt. 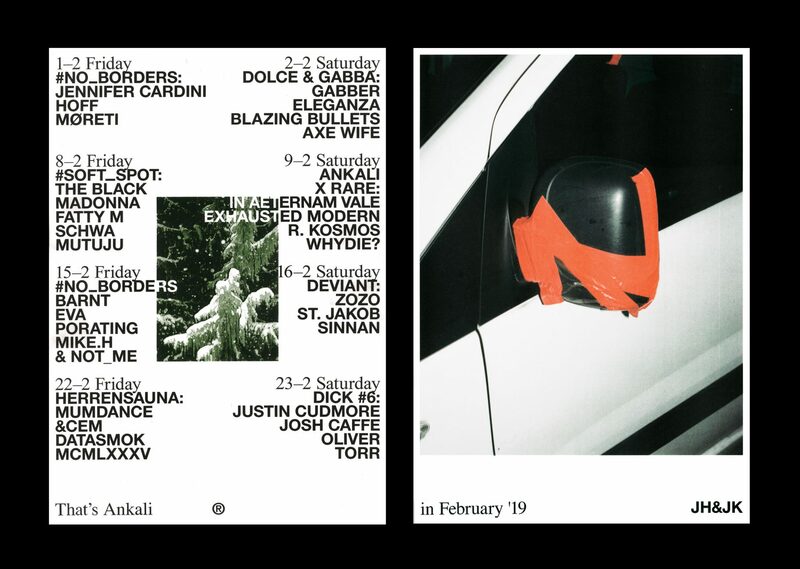 Later on Cardini made a move to Berlin, playing regular slots in Panorama Bar and travelling extensively around the globe with a one-of-a-kind mélange of electrified Disco, Synthwave-infused House and other sorts of pulsating body music. Joining Cardini on her Prague debut performance will be Hoff, a Cologne-based selector with a clear penchant for trax with echoes of Industrial. Wrapping up the lineup is local sonic tastemaker and a resident of Ankali Møreti.